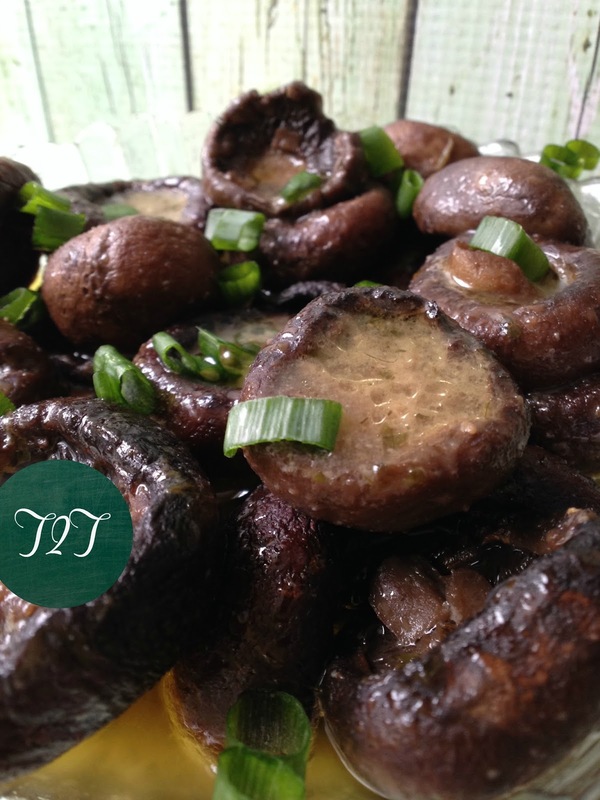 We like to serve these delicious mushrooms in the summer time to serve alongside a grilled steak. They are equally delicious served as a side dish with grilled chicken or salmon. 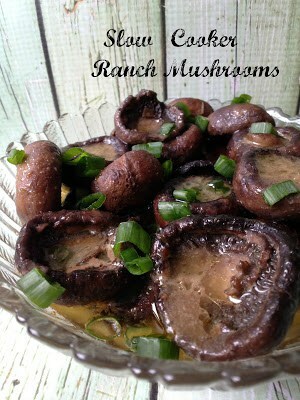 Slow Cooker Ranch Mushrooms are great served as an hors d’oeuvre at a party. Another plus, since these delicious mushrooms are made in the slow cooker, they can be served right from the slow cooker too. 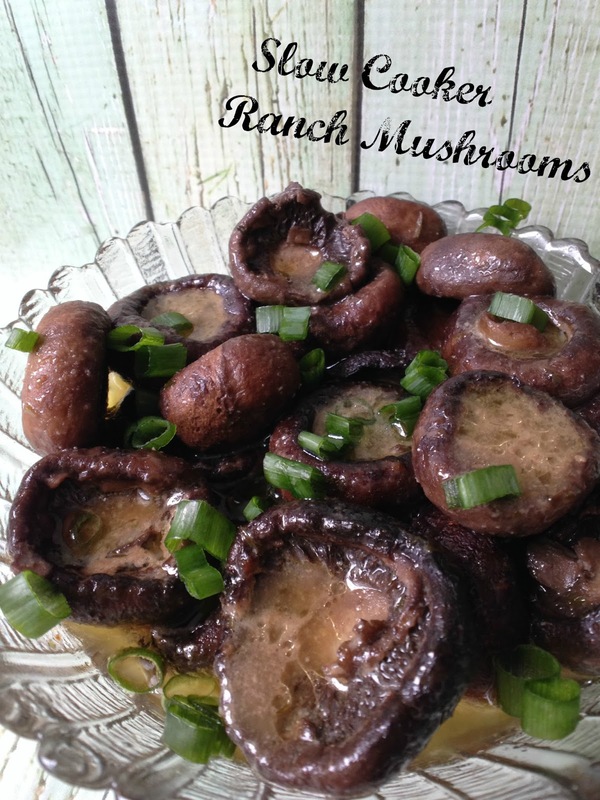 If you like mushrooms your are going to love these Slow Cooker Ranch Mushrooms and if you love these mushrooms you will also love Slow Cooker Italian Mushrooms. Both recipes are the same except one uses dry ranch salad dressing mix and the other dry Italian salad dressing mix. Fast, easy and affordable, you can’t pass on these delicious mushrooms. With only three ingredients, this slow cooker mushroom recipe can easily be doubled, even tripled. 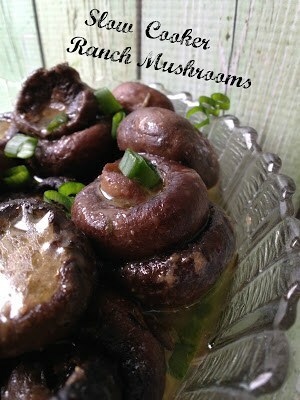 We like to use cremini mushrooms but white button mushrooms will also work. You can even slice large portobella mushroom caps and use those instead of whole mushrooms with the same great results. We remove the stem ends from the mushrooms but that’s a personal preference….if you decide to remove the mushroom stems…don’t throw them out! Save them for another recipe. Clean mushrooms thoroughly with a damp paper towel. Place mushrooms in slow cooker. Melt butter and whisk in dry dressing mix. Pour mixture over mushrooms and stir to coat. Serve with snipped green onion tops.